Crystals have been long used in healing and benefiting humans. 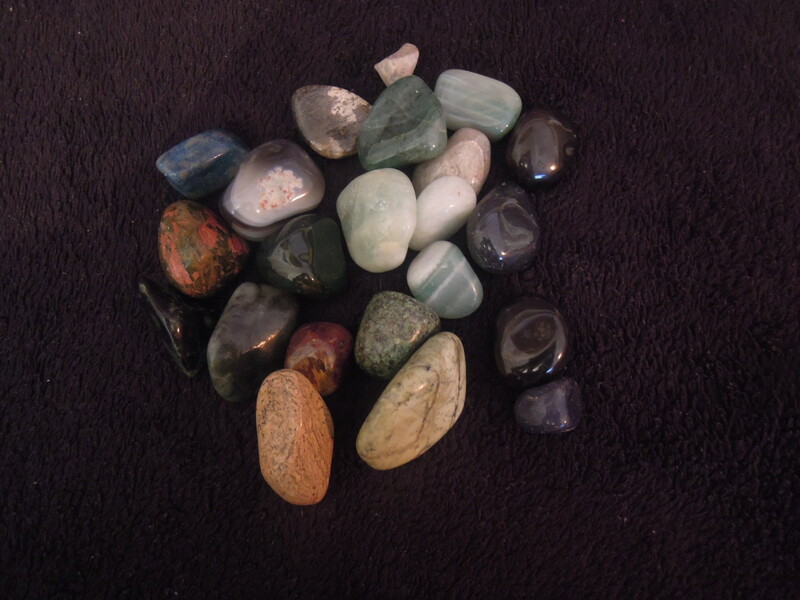 Used and cared for correctly these stones can be of great use and enhance many areas of our lives. Although a crystal may physically last for a vast period of time, the energy that is present within the stone does not. When used in healing, magic and other workings this energy can be used up. It can also be replaced with negative and stale unhelpful energies. To remedy this, crystals should always be cleansed (also known as clearing) after use or periodically for crystals in more long term use. This helps to keep them working well and stops any possible build-up of negativity that may have an impact on the people and environment around the crystal. As well as being cleansed as needed, crystals also need to be recharged with energy. The energy naturally within a crystal is not limitless and over time and use will dwindle. This then has an influence on anything that the crystal is used for. When crystals are still part of the earth they are able to drawn energy from it naturally and so this does not become a problem, they are also likely to use less energy. Once they have been taken from the earth the crystal loses this ability and so the energy must be replenished by those who use and care for them. This process is relatively simple and is often known as ‘feeding’ a crystal. 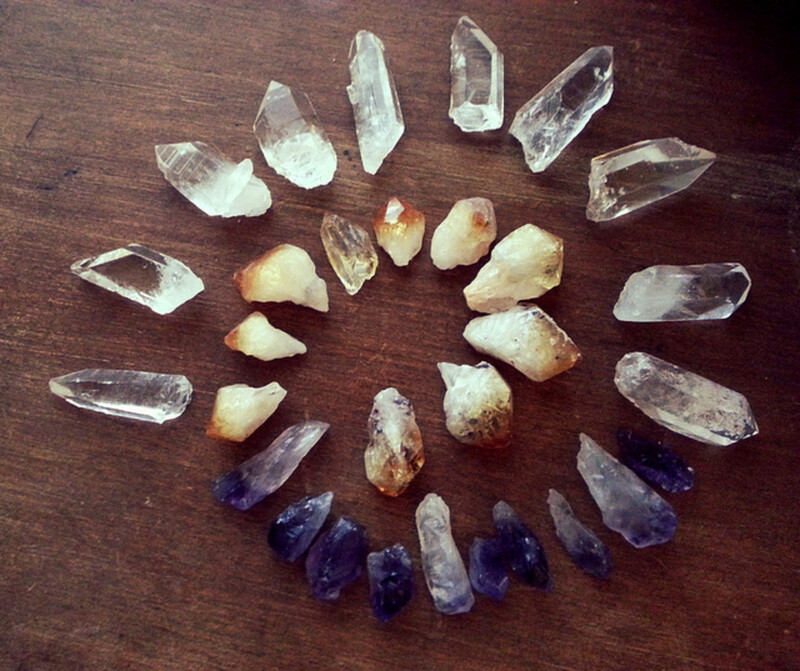 Energy Sources for Recharging Crystals. There are twenty sources of energy that are used and any of these can be selected to recharge a crystal. 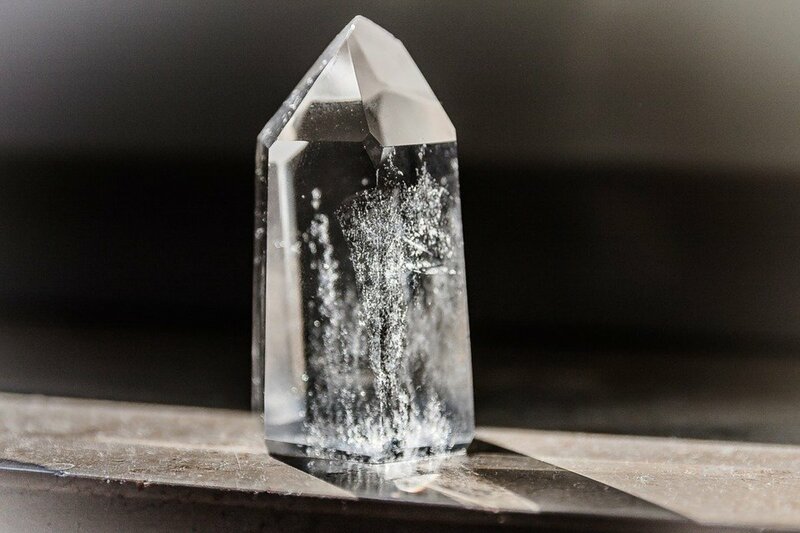 Depending on the type of crystal some sources are more suitable than others and in some cases crystal types and energy sources clash which will mean the outcome is less successful or may not work at all. One of these sources can be used to recharge all crystals types you have or you may wish to vary the energy used, either dependant on the crystal type or on other factors such as your immediate environment, timings or on what items you have to hand. Either method is completely fine and as with cleansing and working with crystals in general the best practice is to always go with what feels right for you at any given time or situation. These instinctive attractions are an incredibly beneficial asset. As well as the variety of crystal having an effect on which type of energy you use in recharging a crystal, your intentions for using the crystal afterwards can help you to make a decision on which energy source will be best. Each type of energy not only feeds the crystal and replenishes its energy but will also bring qualities of that energy into the crystal. 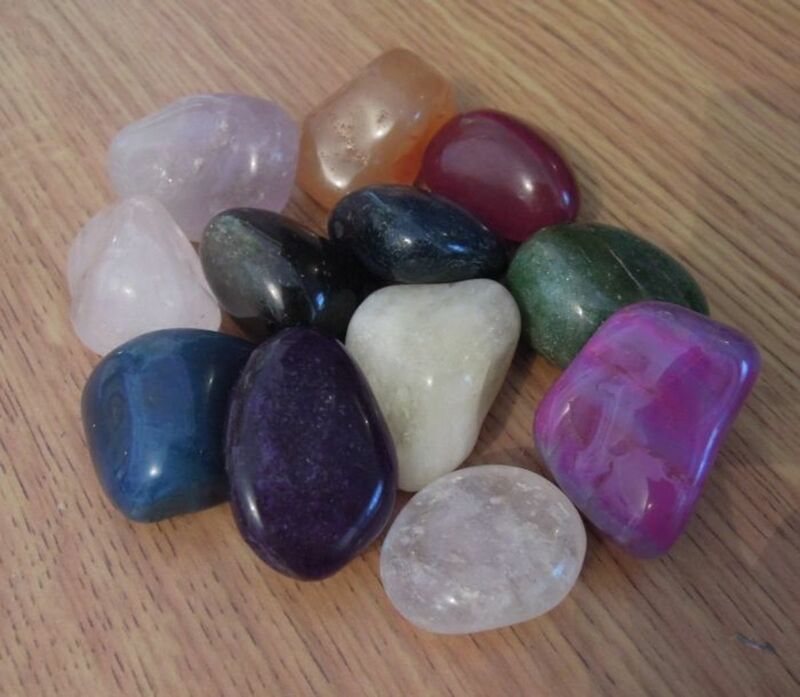 These can then be used to enhance our lives and any healing that we do using the crystal. For example, moon energy is a very powerful feminine energy that is valuable for anyone who wishes or needs to be more self-assertive without being overly aggressive. When you wish to use a certain energy source to charge a crystal care should be taken that the energy is not changed or muddled by more than one source being present. This can happen when crystals are left in moon or sunlight for too long and so end up experiencing the other as the sun/moon day cycle passes. Crystals that are being charged indoors should not been placed near to windows or close to energy sources other than that you wish to use. In the same way if you wish to recharge a crystal with plant or earth energy make sure that it will not be exposed to direct sunlight or be left out during the night. Although this mixing of energies is not harmful to the crystal or dangerous to you, it can affect the powers that it will contain and therefore how well it will work for you in your intended purpose. The Etheric energy source is split further into the subgroups of nature spirits, dragon, angel and fairy which each have their own advantages. There is also a twenty first source of energy known as extra-terrestrial. 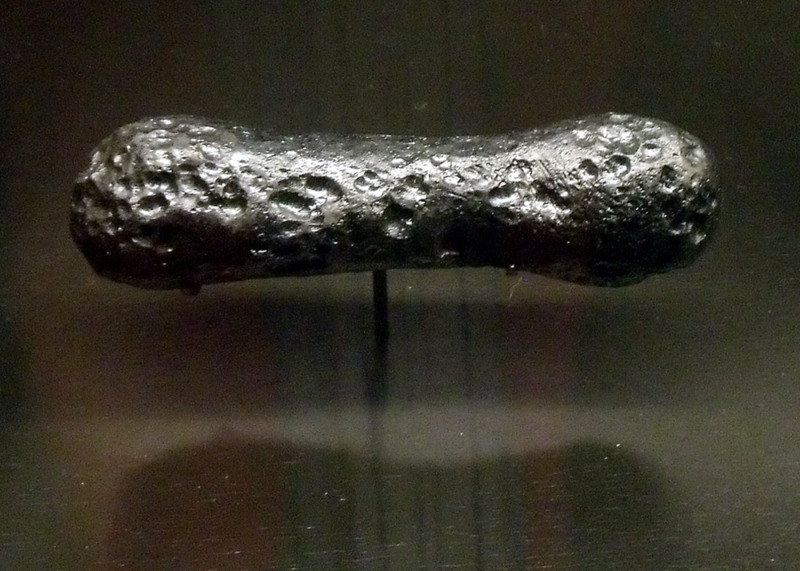 This is used to connect to extra-terrestrial beings and may enable communication with them. This should only be attempted with the greatest care and respect. How to Recharge Crystals using the Energy Sources. The colour of this energy is gold and it works well with citrine, ametrine, clear quartz, smoky quartz, amethyst, rose quartz and rutilated quartz. To use this energy you will need a gold cloth (yellow will not work). It does not have to be fancy or an expensive cloth but should be large enough so that the crystal can sit on it. Place your crystal on top of the cloth and ask that a connection can be made with the positive energies of the universe. This method can be used to help in accessing ancient knowledge that maybe stored within the crystal from past civilizations or the Akashic Records. All crystals are able to work with the energy of the sun. The colour of sun energy is yellow and all that you need to do in order to recharge your crystals with this energy is to leave them in sunlight for seven hours. Timings do not need to be exact but care must be taken to ensure that the crystal is only exposed to the sunlight and not moonlight as well. This will change the energy that the crystal holds and will therefore have an effect on how it works and can be used. Sun energy is useful for anyone who feels that they need to be more assertive in life without coming across as violent or aggressive. 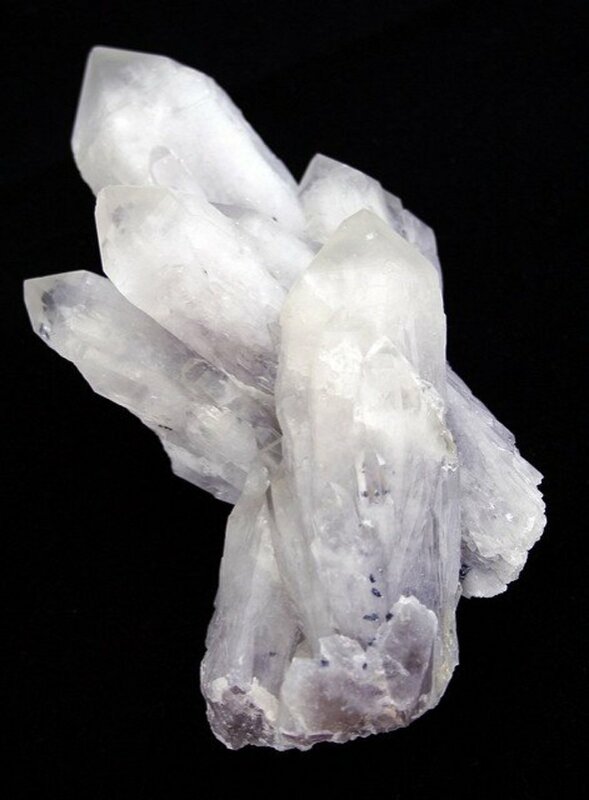 A crystal charged with this energy can be very helpful in situations where you have to meet or interact with people who can have an influence on your life such as doctors, teachers, bank managers or solicitors. The energy of the moon is a very feminine and sensitive energy that can help men and women to be less aggressive or overpowering without losing their self-assertiveness. 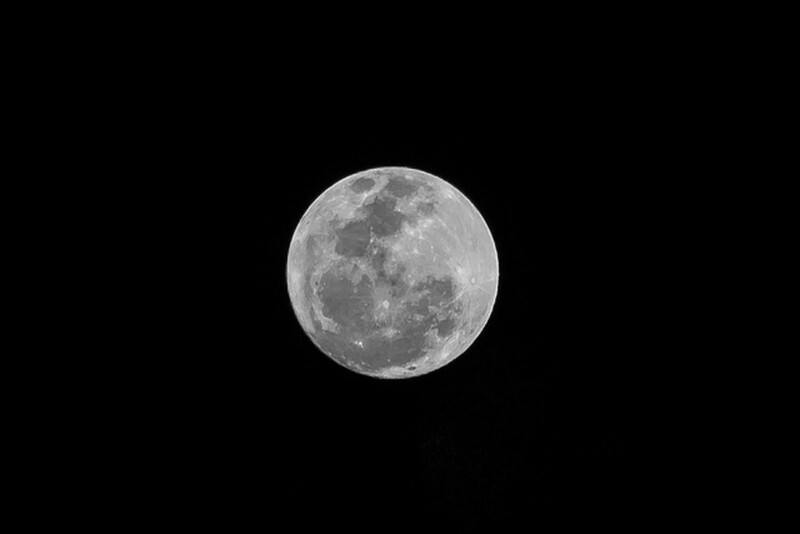 The colour of moon energy is silver and it is accessed in the same way as sun energy – by placing a crystal in the light of the full or crescent moon for seven hours. As with charging crystals with sun energy this timing helps to ensure that the crystal is not exposed to sun energy at any time but does not have to be spot on. What is important is that the crystal is not left in sunlight at any point. The colour of this energy is brown and it is at its best when used with agate, boji stone, calcite, carnelian, citrine, jasper, mahogany obsidian, petrified wood and tiger’s eye. Using earth energy can help to bring strong healing and growth energies to you and your workings. Crystals can be charged with earth energy easily as long as you have access to the outdoors, even if it is just a small patch of ground. First any crystals that you wish to use should be placed into a glass or plastic container and then buried in the earth for at least seven hours. The container does not have to be completely covered and hidden but ideally the level of earth should be higher than the crystals. It is important to use a container for two reasons – the first is that if the crystals are buried directly into the earth and become dirty and are then washed, the water will change their energy. Secondly if crystals are placed directly in the earth, then it may look on them as a gift and you may find that they are gone when you return. The colour of water energy is blue and can be accessed by placing a crystal into sea water for least seven hours. This can be collected in a clean container to stop your crystals from being carried away, but should be returned afterwards. Freshwater from streams, lakes and other unpolluted water bodies can also be used in the same way. Crystals that work best with water energy are agate, amazonite, aqua aqua, aquamarine, azurite, blue lace agate, blue quartz, clear quartz, lolite, sodalite and turquoise. 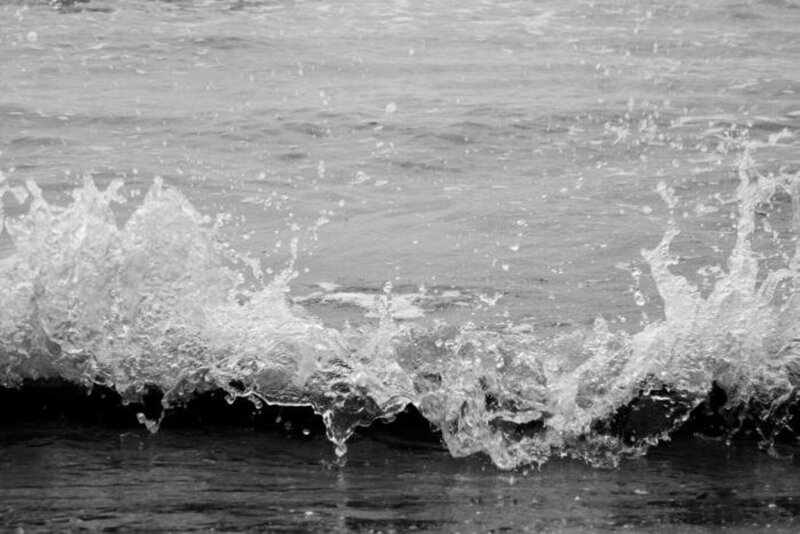 Water energy is a very pure energy that can help increase vitality and healing. Care should be taken when using this method as salt is abrasive and can damage some softer stones. Some people believe that the abrasive nature of salt is not suitable for crystal cleansing and can cause problems so is best avoided. Fire energy is similar to the energy of the sun but is more passionate and can be harder to control than sun energy. It is a useful energy for enhancing self-assertiveness but care should be taken to keep it’s more up front and aggressive tendencies in check. To help balance these a few drops of a calming essential oil such as lavender or sandalwood can be added to a cloth and kept with the crystal. The colour of fire energy is red and it well with agate, bloodstone, boji stone, garnet, jasper, mahogany obsidian, retaliated quartz and tiger’s eye. The colour of air energy is silver and this is a good energy choice for citrine, clear quartz, smoky quartz, amethyst and Rutilated quartz. Essential oils are used with this method of recharging and you will need very small pieces of crystal. As well as the crystal you wish to use you will also need: a clear idea of your requirements, essential oils that correspond to those needs, a 100ml bottle, a small spray bottle, grapeseed or unperfumed baby oil and 5ml (1tsp) of colourless detergent. Firstly you will need to make your essential oil mixture. This can be one or more oils depending on what your requirements are. Place the crystal, detergent and three, five or seven drops of each essential oil into the 100ml bottle. You should choose whichever amount feels right to you and as you add each type state why you have chosen to use it. Once you have added all the oils you need top up the bottle with grapeseed or unscented baby oil. Screw on the lid and shake the bottle to mix the oils. Label the bottle so you will know what it contains in future. Hold the bottle in front of your solar plexus and red loud your list of requirements before leaving the bottle in a safe place for a minimum of seven hours. When you are ready to use your oil, measure out 5ml (1tsp) and pour it into the spray bottle. Fill the bottle with cooled boiled, filtered or distilled water – use whichever feels most appropriate to you. The spray can now be used to enhance your environment and sprayed as needed. All crystals work with gold energy and it can be used to bring powerful love, caring and heart related qualities to a crystal. These energies can be used to help give us emotional strength and in encouraging unconditional love. This is a warm energy that will gently nurture. To use this energy a crystal should be placed on gold coloured (not yellow) cloth and left for at least seven hours to recharge. A gold or gold plated item large enough can also be used in place of the cloth. As with gold energy, all crystals work well with this energy and you will need to place them onto a silver cloth in order to recharge them with it. Silver and silver plated items can also be used. The energy of silver can help us to be more loving to all and to be less judgemental whilst still retaining an awareness of their faults so we are not disillusioned or easily fooled. This source of energy has two colours which are copper and peach. Crystals can be placed on to a cloth of either colour and left for at least seven hours in order to access this energy. 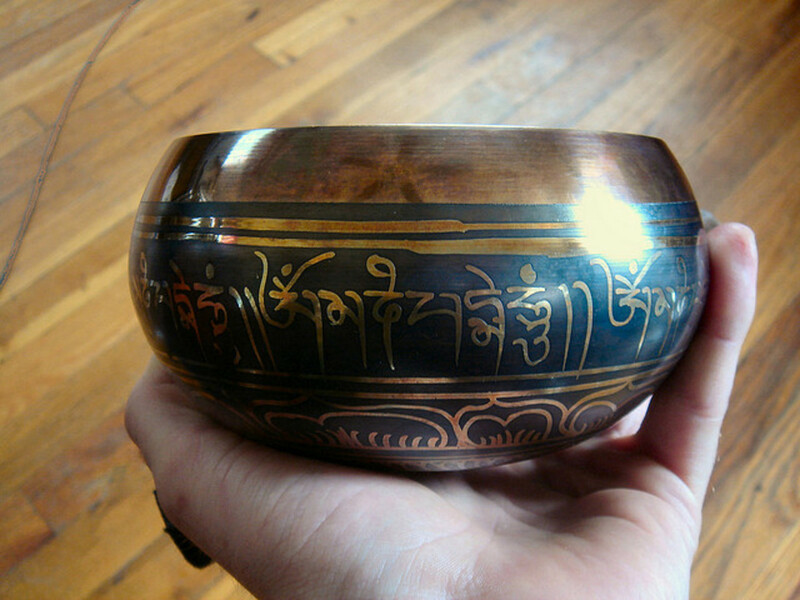 Copper items such as bowls can also be used. This source of energy can be used to bring warmth, joy, love and generosity to ourselves and our homes. However, it should be used with caution as the wholehearted love that can result can make it difficult to detach and look at situations clearly. The colour of this energy is grey and can be used by placing crystals into or in something that is made of stainless steel for seven hours or longer. Iron energy brings us the energies of strength, determination and strong will. It is useful when we need to see the difference between truth and illusion or to remain focused and determined when we are right, regardless of what resistance and obstacles are faced. Crystals that can be used with iron energy are apache tears, boji stone, hematite, lodestone, and pyrite. The colours of auric energy are clear or white and this energy can be utilised by all types of crystals. 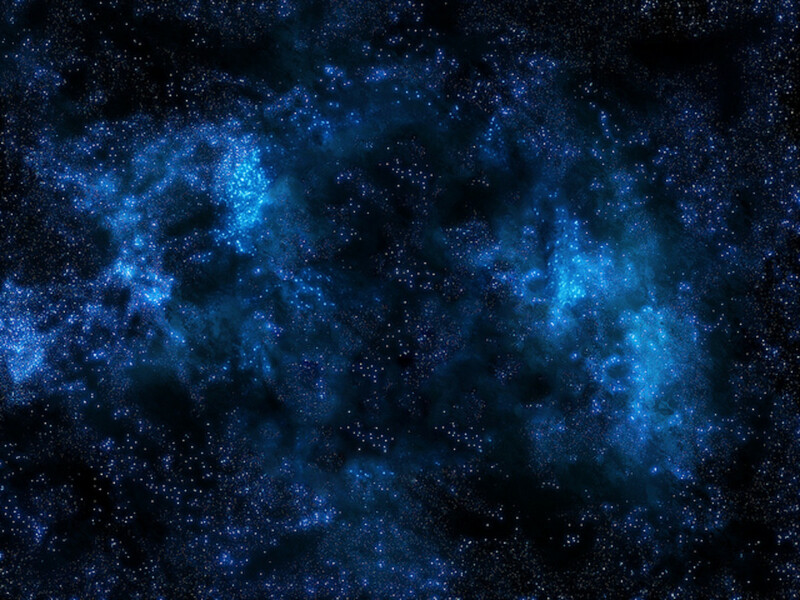 This type of energy is accessed by performing am earth star – soul star connection. This exercise is an excellent energy reviver for crystals and the person performing it. It can be performed with or without crystals although any crystal that is held during an earth star – soul star connection will be a powerful aid to any healing. This is not a meditation and although it requires calm and concentration, a state of complete consciousness should be maintained as a full awareness of what is happening in your body is essential. To perform the earth star – soul star connection you only need your chosen crystal and time where you will not be disturbed. The crystal should be held at the level of the solar plexus throughout the exercise. Think about and visualise a trees roots. Think of how strong they are their ability to break through or get around almost anything that is put in their way, in order to find the nourishment they are searching for. Visualise your feet becoming roots and travelling deep down into the earth. Continue to reach down until you feel a connection to the earth star. This is often experienced as a tingling or pulling sensation. Carry this energy up through your roots (legs) and to your solar plexus. Now visualise this energy travelling up through your body and continue upwards until you feel energy begin to flow downwards. This is your connection to the soul star. Now allow the energy from the earth star to pass your solar plexus and up to the soul star. Then let the energy that came down from the soul star to flow down through your body to the solar plexus and then on to the earth star. 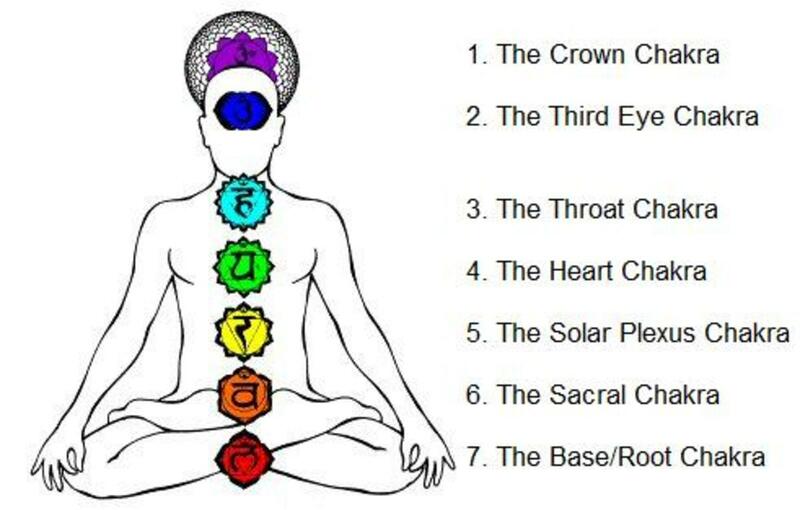 Allow this two way energy to flow in this way and align and clear your chakras. This will also clear any energy blockages and allow your bodies energy to flow freely. Allow this energy to flow until you feel rejuvenated. Gentle withdraw your roots from the earth and move from the spot to break the connection. Magnetic energy is another energy source that can be used to recharge all varieties of crystals. The colour of this energy is black and to be able to use it, you will need to align the crystal with the earth’s magnetic poles. To do this you will need a compass and to first locate north and south based on your location. Once you have these, set the crystal down so that its major termination point or edge is pointing either north or south. Leave the crystal in this position undisturbed for at least seven hours. This energy is particularly useful when you wish to locate ley lines or in dowsing. This energy source is best used with copper, rhodonite, tourmaline, unakite and fluorite. To gain access to this energy you will need a white cloth and the following quantiles of essential oils: five drops of frankincense, three drops of bergamot and nine drops of thyme oil. Drop the oils on to the cloth. Place the crystal onto the cloth and then leave undisturbed for at least seven hours. 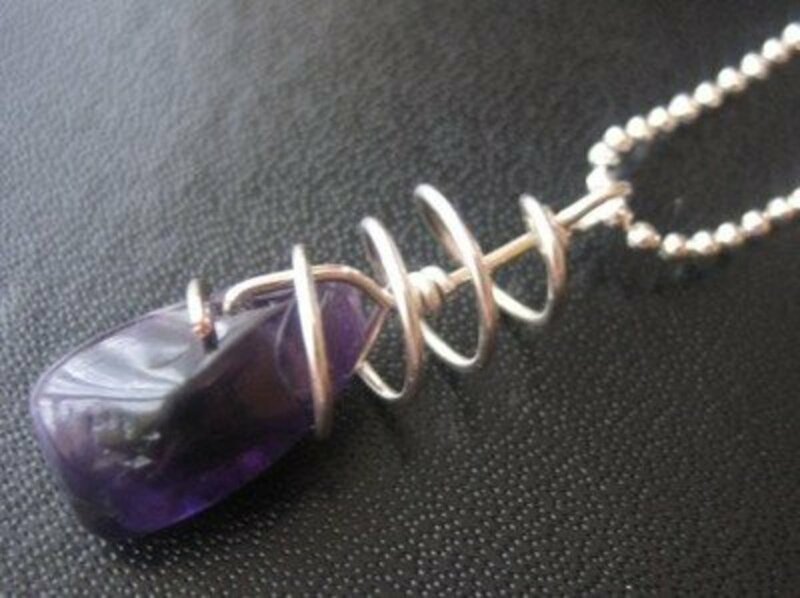 The colour of mineral energy is magenta and it is a useful energy to use in dowsing. The colour of this energy is green and it is suitable for use with all types of crystals. Place your chosen crystal into a glass or plastic container and leave it next to or in a strong healthy tree for seven hours. Plant energy is very healing and can aid growth and realign and balance the body. When working with plant energy in this way it is important to use a template of what a truly healthy version of the body part or organ looks like. These can be found in medical or biology textbooks and in many health related books. The reason for using these rather than visualising health or basing the healing on ‘looking’ at someone else’s body is that you cannot be 100% certain that they do not have any health issues, imbalances and issues of their own and these can be passed on through the healing. This is another energy source that can be used well with all varieties of crystal and it has the colour orange. In order to use this energy you will need to place your crystal on to a feather and leave it for a period of seven hours. Any feather can be used but if you wish to access the qualities of a certain bird then you should choose a feather taken from that species. 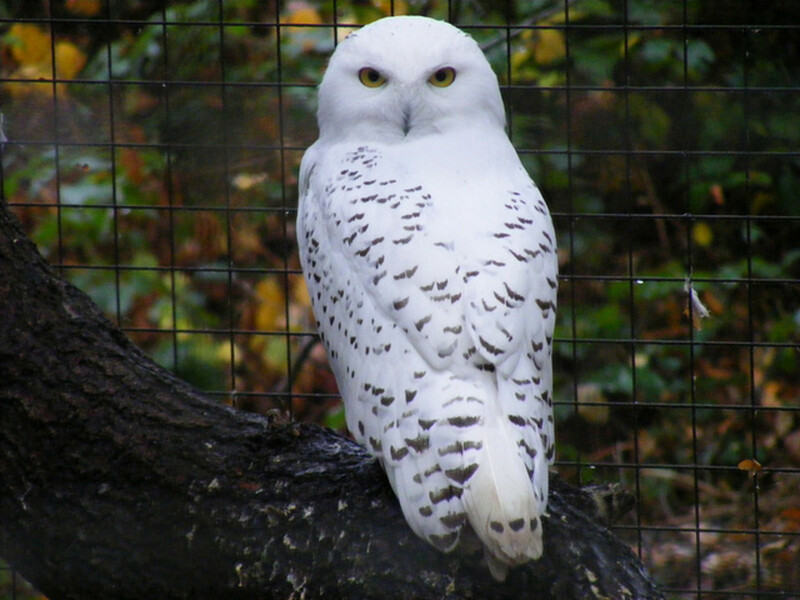 For example, if you wish to use the qualities of an owl then an owl feather should be used for the recharging. This energy should never be used to aid in hunting birds for any reason, not even for food. It should only be used with the greatest respect and can be invaluable in working with birds for good. 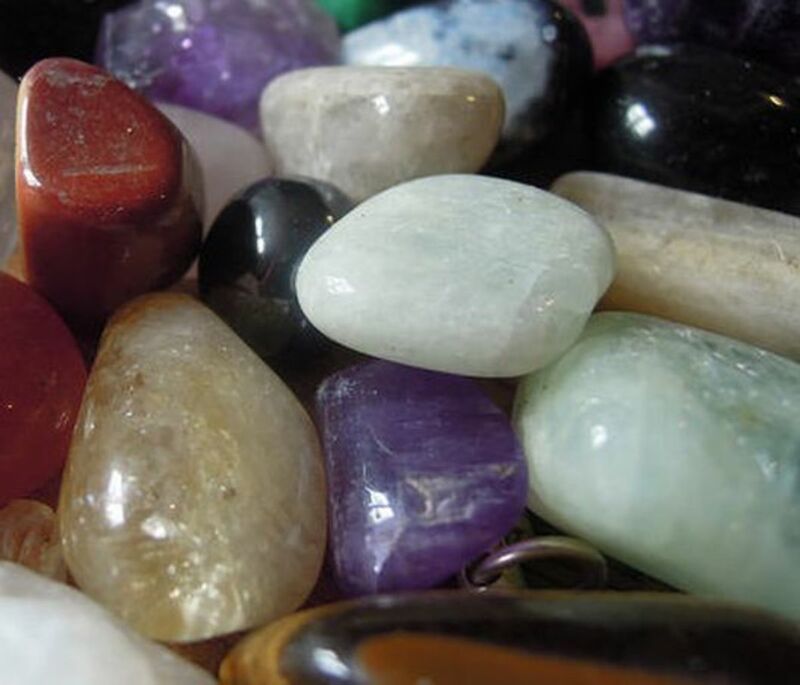 To recharge your crystal with this energy you will first need to place it into a glass bowl in order to stop your personal energies influencing the stone. Hold the bowl in your hands and meditate on the energies of the animal that you wish to draw to the crystal. Visualise the animals happy and healthy and ask that they be attracted to you and that both side will remain gentle and safe. 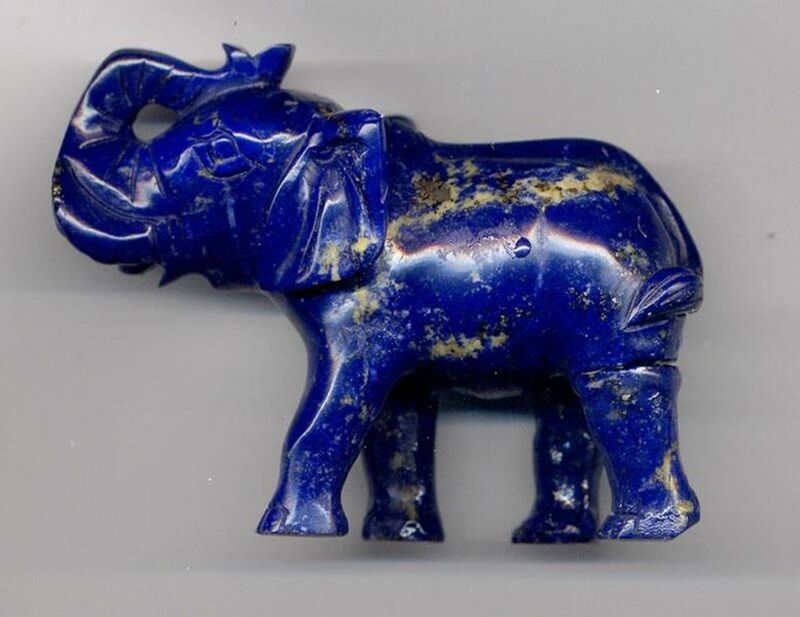 Each type of animal will have its own unique qualities that they will bring to your crystal and crystal work. Land creature energy can be used with all crystals and its associated colour is pink. The colour of this energy is turquoise and it can be used with all crystals. The energies of sea creatures such as whales, dolphins, seahorses or sharks can be drawn to a crystal by placing it in sea water or sea salt for at least seven hours. If there is a specific type of water animal that you wish to work with then you should ask that this animal is attracted to you and that both parties will remain respectful and safe. This is will not only protect you but also makes the energy of potentially dangerous animals such as sharks easier to work with. All collected water should be returned to the sea after use and you should remain aware that although you cannot see them there may be microscopic creatures living in the water that should be handled with care. Salt is also an abrasive and can damage delicate crystals so this should be considered when choosing which variety to use. To charge a crystal with the energies of freshwater creatures it should be placed in unpolluted freshwater from a mountain stream, lake or other body where those creatures can be found, and left for at least seven hours. 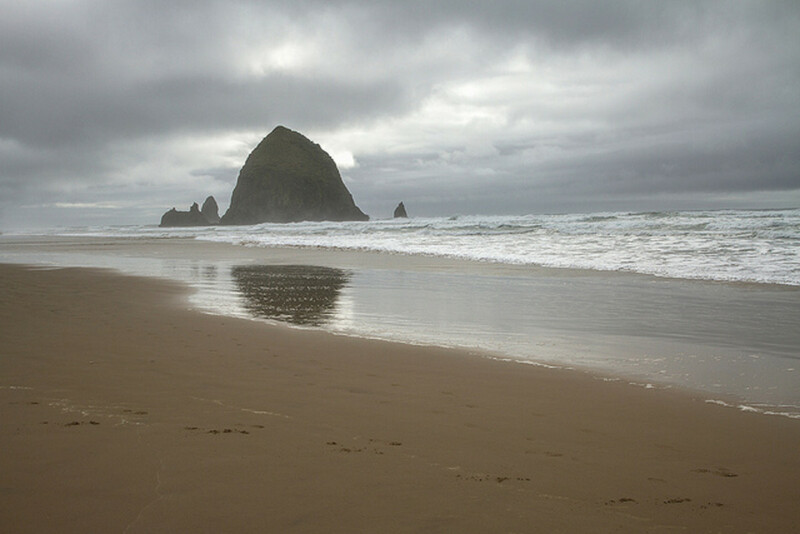 As with sea water, freshwater should be returned after use and do keep in mind other creatures that may live in the water or place that it has come from. The energy of freshwater creatures can be used with all crystal types. The colour of etheric energy is rainbow and this energy source is found in several different forms. Which crystals are most appropriate to use are dependent on which form is being accessed. In all cases crystals should be left undisturbed for at least seven hours. Nature spirits – This energy source is sometimes called devas energy and can be used by placing your chosen crystals into a glass bowl and then placing this in a safe place among naïve plants. This energy works best with agate, aquamarine, chrysoprase, green aventurine, fluorite, jade, moonstone, moss agate and peridot. Recharging your crystal with devas energy may enable you to see the nature spirits and even speak to them. If you are lucky enough for this to occur they must be treated with the greatest respect and recognised as the highly intelligent and evolved beings that they are. Keep in mind that their contact with humans may also have not always been positive in the past. If your interactions are positive they will be able to advise and guide you in many matters. Dragon – When asking for assistance of dragons the best crystals to use are: agate, amethyst, Herkimer diamonds, fluorite, lepidolite, Rutilated quartz, smoky quartz and lapis lazuli. The crystal of your choice should be placed on a rainbow coloured cloth for seven hours. Dragon energy is powerfully protective and should be used with care. Dragons are very powerful creatures who like nature spirits may have had bad past experiences with humans but they may allow themselves to be seen and communicated with. Their colour can vary with their mood and many are able to change their size. These beautiful and highly intelligent creatures should always be shown the greatest respect and your interactions should be without judgement, regardless of how they appear to you. Angel – Using this energy source we can ask angels for their assistance in our lives. This can be achieved by placing a selected crystal inside a circle of rainbow coloured ribbon or on a white sheet of paper that has rainbow coloured circles drawn on to it. This can be done by drawing a circle of purple, then a blue around it, then a green circle and so on until all the colours have been used. Take care to make sure the purple circle in large enough to place the crystal within. The best crystals for this kind of energy are angelite, celestite, clear quartz, Herkimer diamond, howlite, moonstone, rutilated quartz, desert rose selenite and topaz and the stone should be left within the circle for seven hours. Accessing angel energies may enable you to see and communicate with angels and again this must be done with great care and respect. Although angels are generally gentle beings whose contact with humans is friendly they can be angered if you attempted to use their energies for causing harm or with negative or careless intentions. Fairy – The crystals that can be used to access this energy are blue lace agate, moonstone, Rhodochrosite, rose quartz, staurolites, spectrolite and turquoise. Fill a glass bowl with very small crystals that you do not mind loosing – crystal chips are ideal for this, and place the bowl on a rainbow coloured cloth. Sit quietly and gently tell the fairies that they may use these crystals as they wish and ask if they would charge them with fairy energy that you can use as you work. Unlike with other types of recharging the cloth, bowl and crystals should be left in place at all times and you may notice that the amount of crystals changes over time. If you are lucky working with this energy may allow you to see and in some cases communicate with the fair folk. They are very powerful and intelligent and can be mischievous at times. Sadly they are often afraid and very cautious of humans due to having previously experienced harm or other negative actions of our species. Extra-terrestrial – The crystals that work best with this energy are boji stone, ametrine, rutilated quartz, fluorite, peridot, tektite, moonstone, spectrolite and staurolite. Place your crystal into a bottle and hold it in your hands. Ask that the crystal be recharged with the energies of positive and harmless extra-terrestrials and that you may communicate with them freely and safely. If you are gifted with the ability to see and speak with these beings do not judge them by their appearance or expect anything of them. Respect and kindness should be shown at all times. I’m brand new to using crystals and thought if I put my crystals in the moonlight and sunlight, it would really help charge them. But, reading this you clearly say that is wrong. 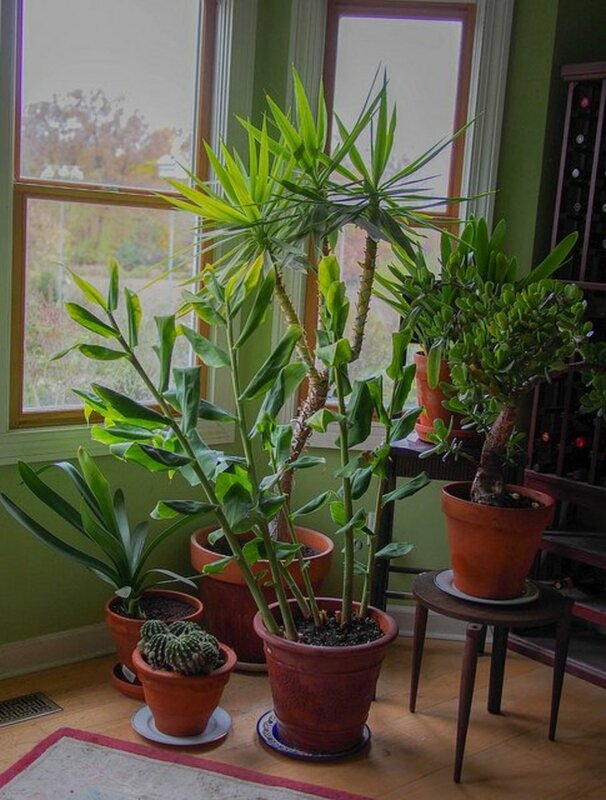 What should I do to cleanse them? Moonlight is I good way to cleanse crystals. The problem with sunlight is that it can fade crystals and some people find the more firey energy doesn't work well with them. If you are feeling that is the right way then try it and see how you feel. Personally I mostly use moonlight and smudging and sometimes water for suitable crystals, especially when I want a quicker cleansing. Should I keep my crystals together by type/colour or is it alright to have them all together. I always keep them in a copper bowl. Is this ok? I have friends that use cryatals and I was just given my first crystal gift, an amethist. I understand it is intended to bring positivity. What is the best way to charge it? Would I always put it in a glass bowl to charge? Wht not put it close to a window? What if you drop your crystal (Amethyst) and it breaks in a few pieces, is the power of the crystal still the same? Every crystal can be cleansed using sunlight however you are right and there are some that can be faded using this method. If you wish to use sunlight it is best not to leave the crystals for long periods or to use other cleansing methods sometimes. 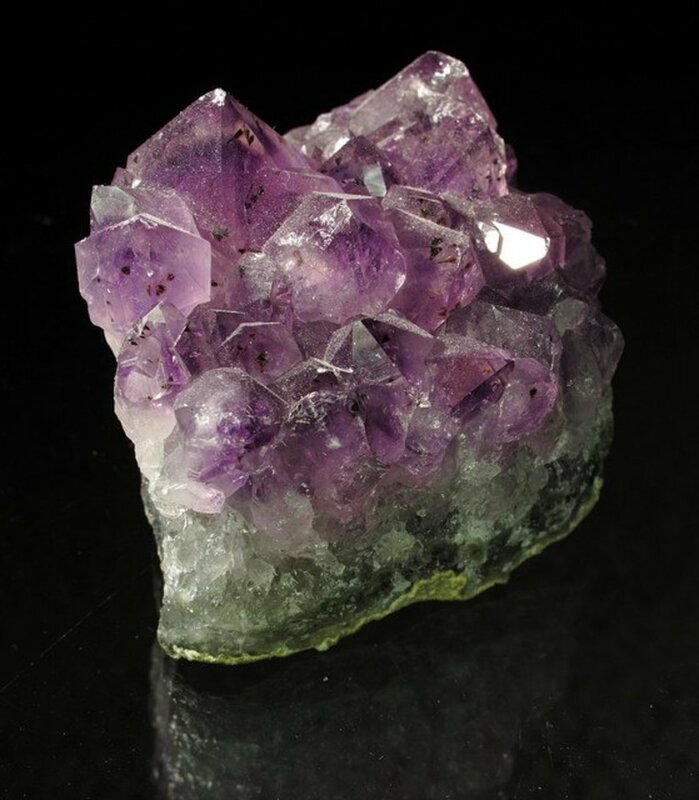 Hello, you said that every crystal can work with the sun, I read that the amethyst, when exposed to the sun can have its color to fade, is it really true? Thank you so much, each section was clear and concise. I loved the entire thing; you had a nice diversity. I found it intriguing and easy to follow. The only thing I missed was using a copper pyramid. Perhaps it fit here or not I have yet to tell because I am researching using them, hence stumbling upon your site while googling charging crystals + cooper. I hope that you will find it beneficial and effective if you decide to give it a try. This is the first time I've ever read anything about using animal energy to charge your crystals... So intrigued. That is very good to hear, thank you :) I normally write shorter hubs but could not see a way to split this up and it be easy to understand and find all the information. I really felt it all belonged together in one place. You're very welcome. It seems just the right amount of length to me. Thank you, glad you enjoyed it. I have been a little worried that it is too long or too much information in one go. Claire, I continue to love your crystal hub series. This was interesting and useful to know about recharging them and to contact many natural aspects of the earth, high and love. Voted up!